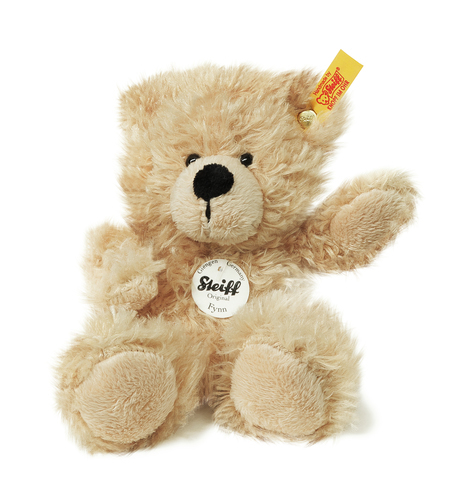 Steiff 111372– Every original Steiff animal with the world-famous trademark, the Steiff “Button in Ear”, shows that it comes from one of the best families – and every Steiff Teddy Bear and Steiff animal proudly wears an ear tag as a clearly recognizable identification. It shows that this is one of the many, wonderful animals and Teddy bears from the wide, unlimited Steiff assortment. Made of cuddly soft plush. Stuffed with polyester. Not jointed. Measures approximately 7.1”. Machine washable at 85° F.